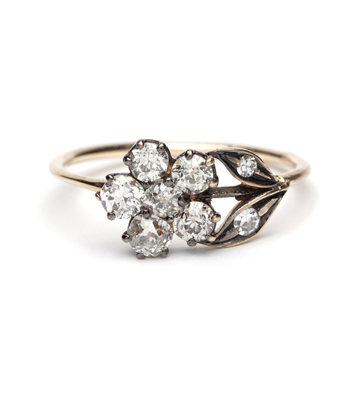 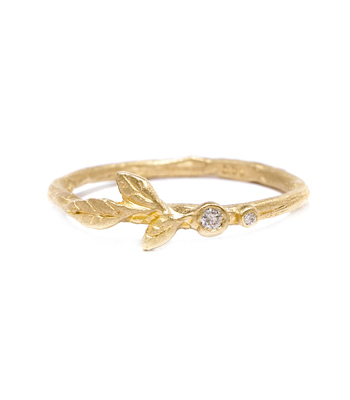 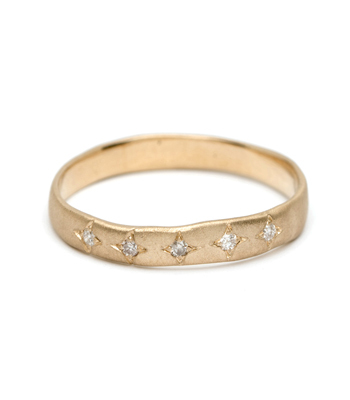 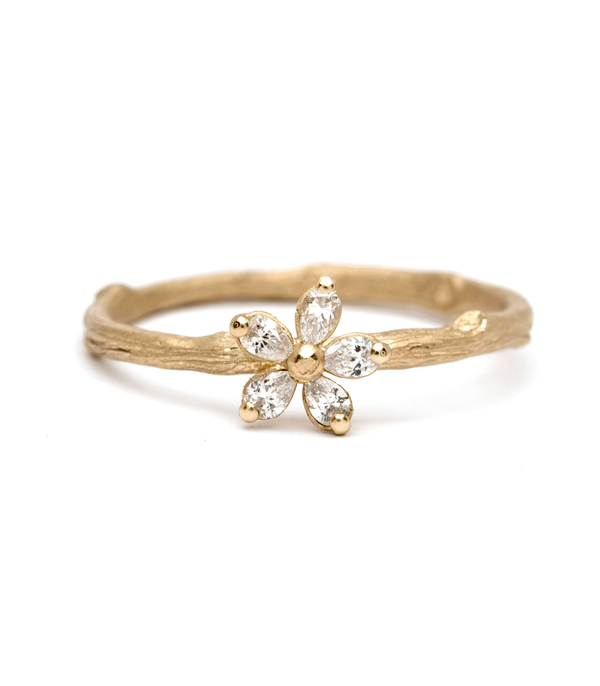 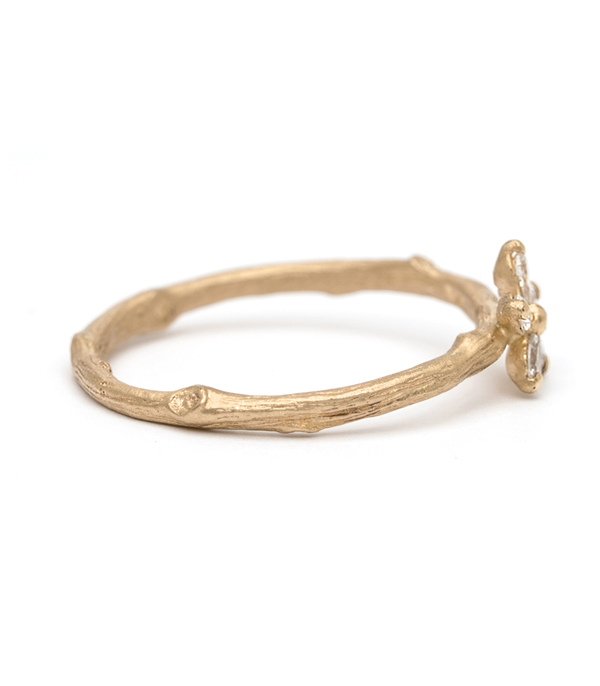 Our 14K matte gold signature twig band is accented a tiny daisy, set with five pear shaped diamonds (0.17 ctw) We like to think of this petite diamond daisy ring as a reminder to appreciate the simple things in life. 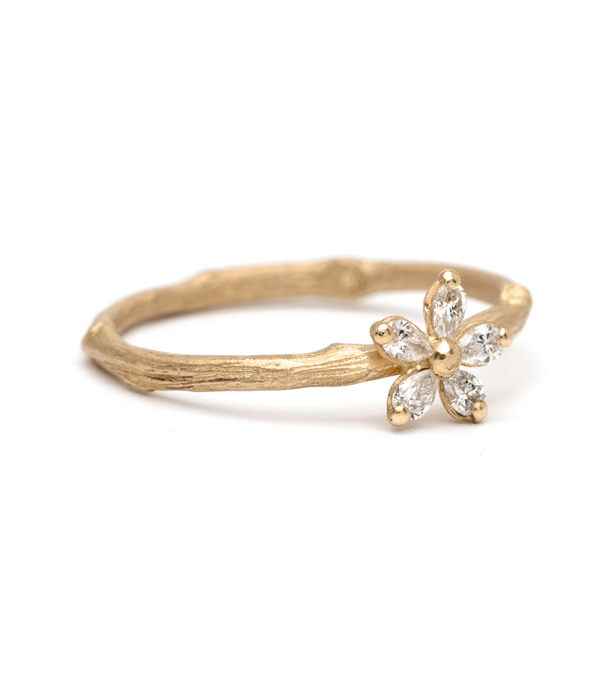 A testament to the beauty of care-free times, where innocence and love rule the day. 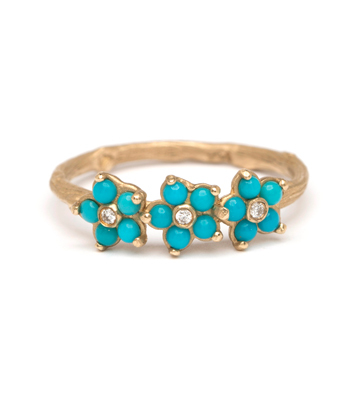 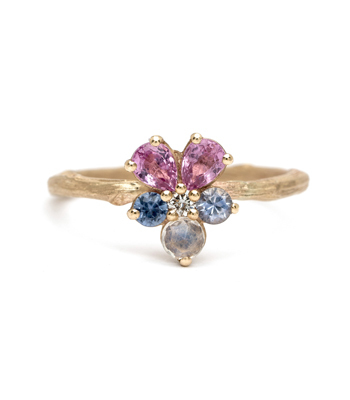 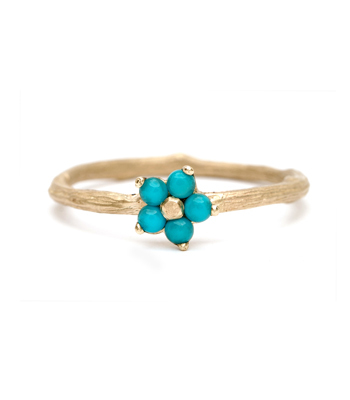 Categories: Bohemian Elegance, Language of Flowers, Natural Beauty, Rings, Sofia's Favorites, Stacking Rings.